Navigate to the "Fundraising" tab in your Admin Dashboard and click on the "Events" link. From there, click on the “Manage” button under the event you’d like add an offline registrant to, and you’ll be directed to your Event Manager. 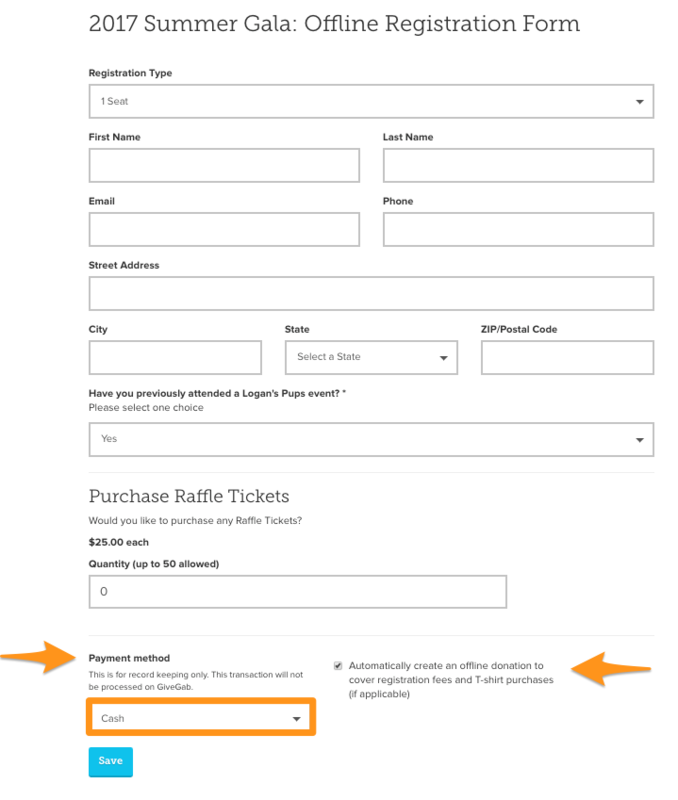 Navigate to the "Registrants" tab the within the Event Manager, then click the "Register a Participant" button. From there, you'll be directed to the registration form you've created for all participants of your event. Here you can enter in the information of your offline registrant. The only additional information that's needed for an offline registrant is the payment method and an offline donation option. If you'd like an offline donation created automatically for the amount specified for the registration type selected, make sure that the box next to payment method is checked. Once you've completed the form, click "Save", and the registrant's information will be available in your registration report.